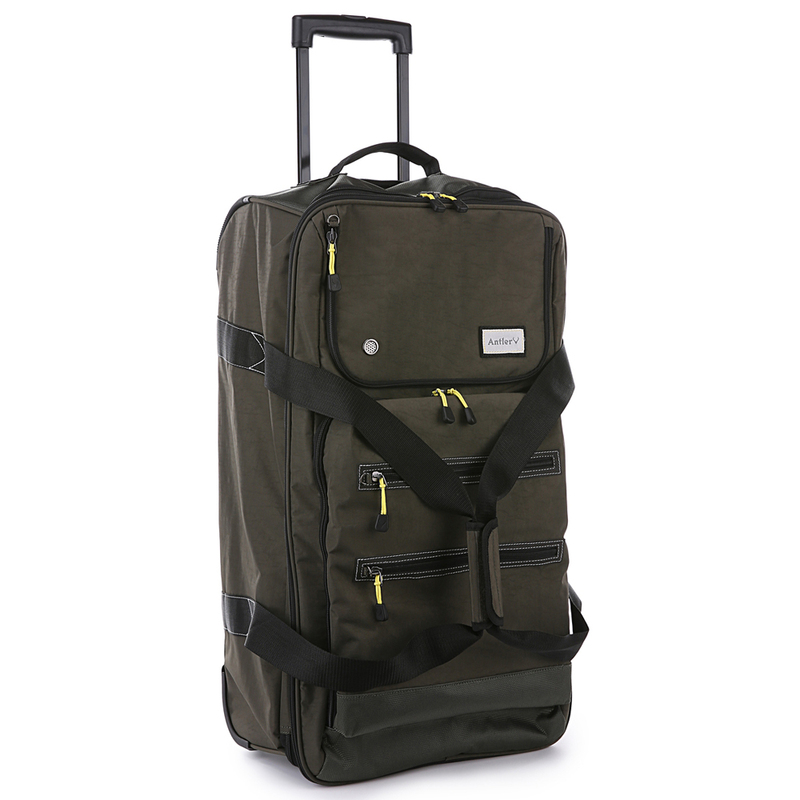 Expandable design lets you increase your packing space in seconds. Extendable trolley handle stored within a zippered pocket. Spacious zippered main compartment with U-shaped design for easy loading. Main compartment is equipped with packing straps and a large zippered mesh pocket. Two front zippered compartments for essentials. Two additional front zippered pockets. Two carry handles with Velcro fastening. Dimensions: Approx. 37cm (l) x 71cm (h) x 35/38.5cm (w).